composer, lyricist and producer - has been active in various styles for years. He plays the guitar, keyboard and further Instruments and has been studying classic guitar since several years.Since 1979, he has been living in Munich where he founded the group „No Promise". Some of his compositions have been played by other artists. At various studio recordings, he participated playing the guitar and keyboard or as a production assistant. 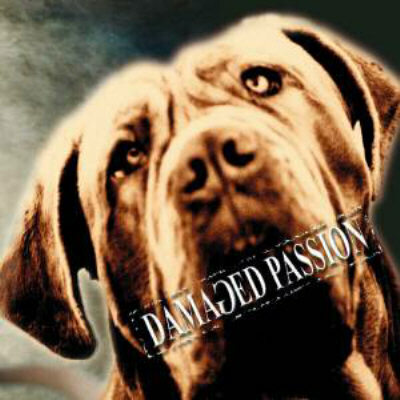 Originally, "Damaged Passion" was not intended to be a project.The actual aim was to record a CD with a group,but for several reasons, this never happened.In the course of the time, the recordings were developed by various musicians in various styles and in various Studios. The majority of the recordings was done at Studio Hazienda by Milos "Dodo" Dolezal with the sound engineer Frantisek Musel.After several problems and complications - and numerous mixes - the production could finally be finished in spring 2006at Magic Minds Studio in Hannover.The album was produced and mixed by Jan Nemec (Magic Minds Music) and by Peter Kresta in co production, helpfully supported by Walter Wicha (the voice of „Railway") as an executive producer in the final phase.The final mastering was done in March and April 2006 at Sky Studio by Bobby Altvater who was already responsible as a producer and sound engineer for bands such as Bonfire, Frontline, Boys Voice, Railway, Affair, Big Apple etc. Ossy Pfeiffer lives in Hannover where he is very successful as a Singer, keyboarder, drummer, producer and sound engineer. Dana B. is a singer and participatedat "Superstar". Karel Adam and Daniel Hafstein recieved three gold records between 1991 and 1994 with the group „Kreyson" which was very successful in Japan as well. Both of them worked live on stage and as studio musicians for several Czech rock bands. They also participated at the solo recordings of Jutta Weinhold (Ex-Zed Yago). 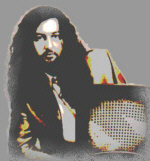 Victor Janota, keyboarder from Prague, lives near Deggendorf and played with the group "M.T. Eyes" and others. Milos „Dodo“ Dolezal (Ex-Vitacit), graduate of GIT Los Angeles, is a guitar player, composer and producer and works successfully in L. A. and in the Czech Republic as a sound engineer and a producer (he mixed parts of the Soundtrack of Triple-X). Wolfgang Süssenbeck (Ex-Darkside, Wiener Neustadt) contributed the keyboard effects into the project. Walter Wicha - Lead singer of RAILWAY and leader of SIEGEL MUSIKVERLAGE. 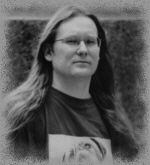 Peter Uhlir - he lives near Munich and contributed the vocal lines at the first recordings. It was his idea to add a female voice. 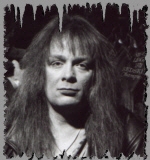 Heike Kieslich - (Tora) - She lives near Munich and was a solo and background singer at the first recordings. Pavel Macura - Jazz and Rock bassist from Prague, he participated at the pre-productions. He lives in Praque and plays at several bands - recently at "Soak Hazard"
Markus Schlee, lyricist of “No Limits", lives in Munich, and he is the lead singer of the group "Motherfunker". He contributed some substantial vocal lines to "No Limits".